Isn’t it nice when you see something in your mail that isn’t a bill or a piece of junk mail? I’m not talking about your email inbox. I’m talking about your good old, snail mail mailbox. 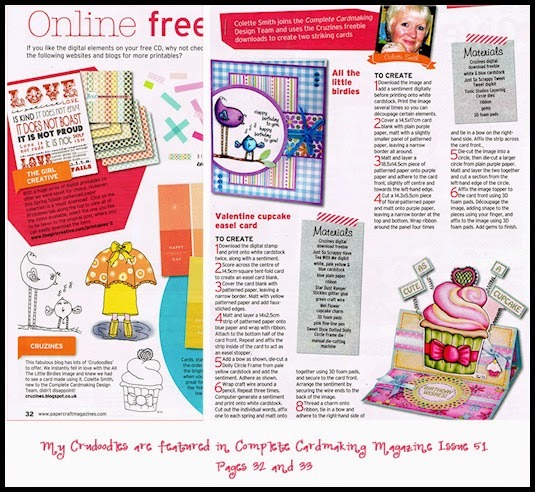 I love to receive mail, that is why I belong to a “Happy Mail” group on Face Book. 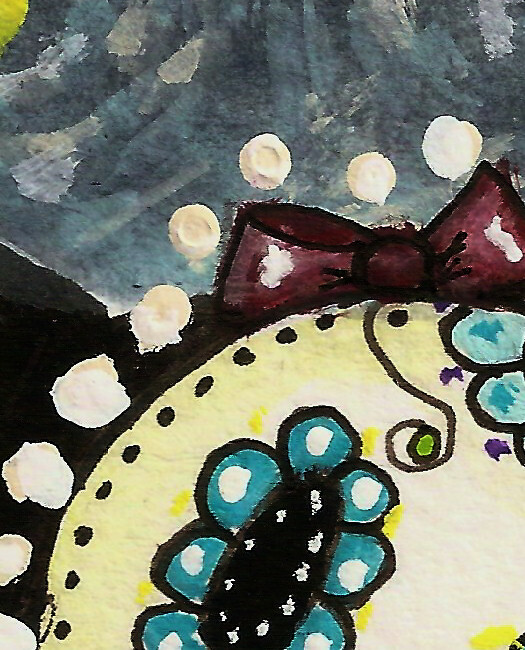 There are always lots of themed mail swaps going on, some are for swapping crafting supplies, some for swapping ATCs, postcards, tags and pocket letters. 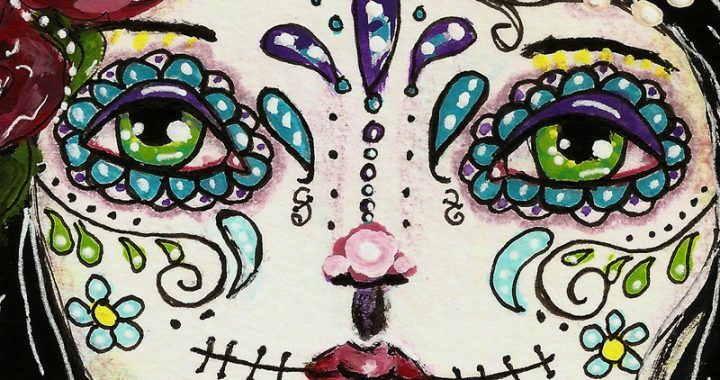 Recently I signed up for a Day of The Dead Postcard Swap. I had so much fun painting this girl for my swap partner, Amanda. 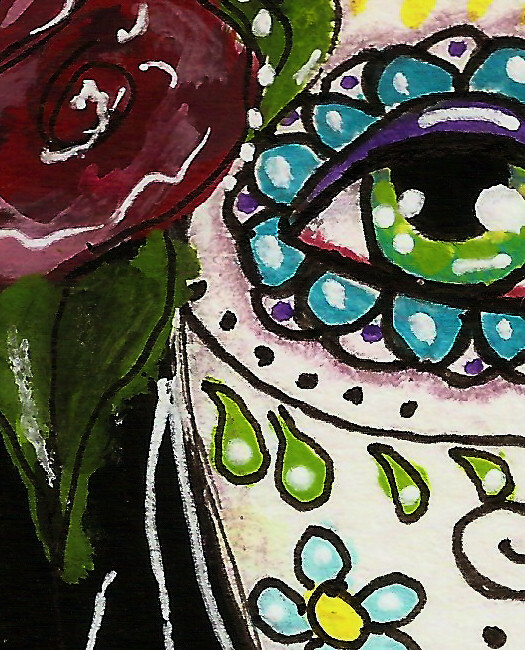 I was in doodle heaven with all the little details. 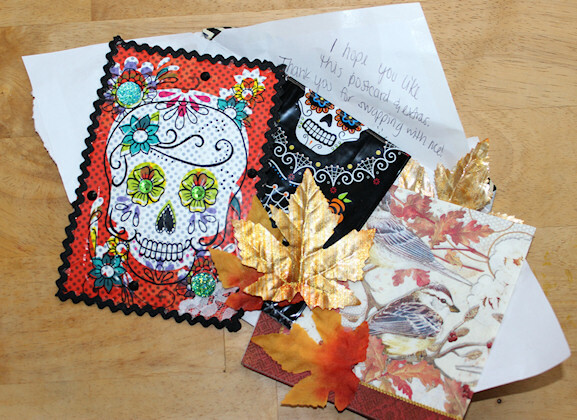 I put it in the mail today and look what I found waiting in my mailbox, when I did… Amanda’s Happy Mail to me! Isn’t this just a fabulous envelope full of happiness? 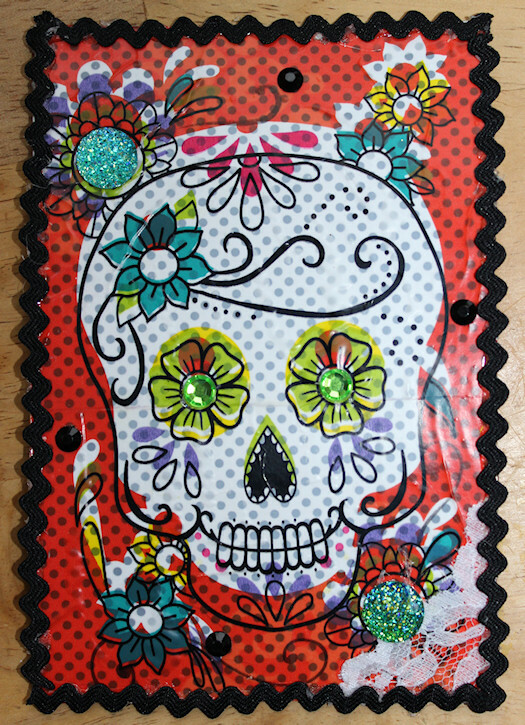 I simply adore this sugar skull postcard she made for me. Happy mail! It’s just that… Happy! It definitely made my day. Thanks Amanda! 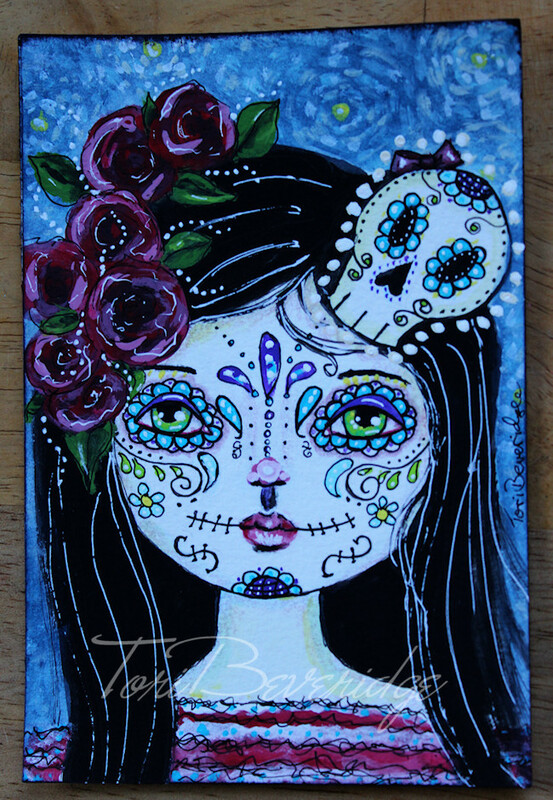 Posted in Creative Every Day, mixed medium, portrait and tagged acrylic painting, day of the dead girl, face, happy mail, mixed media painting, portrait.